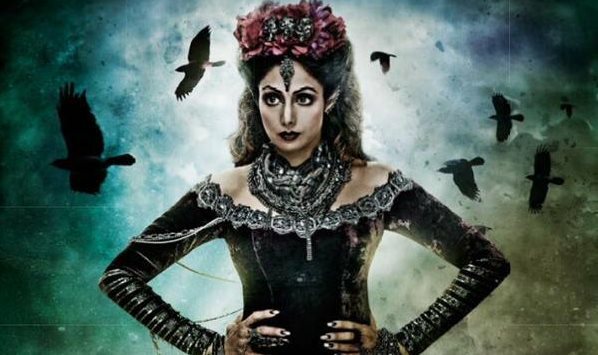 Sridevi, who plays the queen of an ancient kingdom in her comeback Tamil film "Puli", says she was treated like a queen off the sets too and considered this gesture of the team "sweet". "To be treated like a queen even off the sets was the best part of this role. It felt special, respected and very sweet," Sridevi, who is returning to Tamil cinema after two decades, told. Sridevi's last Tamil outing was 1986 film "Naan Adimai Illai" with superstar Rajinikanth. When she went back to the sets after so many years, she admits it was nostalgic. "Shooting in some old studios that I hadn't visited in so many years brought back wonderful memories of my initial years in Tamil industry. It was like reliving a dream," she said. Explaining with enthusiasm about her role, she reveals: "This is the kind of the role you get once in a lifetime. It excited me so much that I jumped at the opportunity without much contemplation. Contrary to everything I've done so far in my career, what I've done in this film will always remain special". Going by the film's promos, one would've expected her to be playing the antagonist. But she doesn't concur with that observation. "It's a character with layers of shades. I'm not playing a typical queen we read in fairy tales. I'm really not at the liberty to divulge much information," she said. Her look and costumes from the film has already created quite a buzz. She gives all the credit to fashion designer Manish Malhotra. "Even Manish enjoyed working on this film so much because it gave him opportunity to experiment as well. Right from my gown to ornaments and the crown; he was responsible for everything," said Sridevi, who had to have people help her carry the costume. "It was so heavy. Our vanity van used to be far away from the sets and in order to go there, I had to take the help of people to carry the gown as I'd walk. It was challenging but the whole experience was so much fun." Directed by Chimbu Deven, the film also stars superstar Vijay, Shruti Haasan, Hansika Motwani and Kannada star Sudeep. When asked about working with Vijay, she said: "It's nice of these popular actors like Ajith and Vijay to share screen space with senior actors like us. I mean, I worked with Ajith in 'English Vinglish', and though it was cameo, he was so much fun to work with. The same applies to Vijay as well." "Vijay is very organised on the sets; mostly quiet. There's no discussion; no arguments. He works with so much passion and that's so encouraging for the co-stars," she added. Asked if she's keen on doing more films in the south, Sridevi said she's not a planner and would usually pick a role if it excites her. "Puli", which releases worldwide on October 1 in Hindi and Telugu as well, is the next most anticipated film of the year after "Baahubali". Sridevi doesn't like the idea of comparing both the films. "I feel every film has its own charm and gets made for a purpose. The buzz around 'Puli' is very positive; everybody I've spoken to are eagerly looking forward to the movie. With so much scope for fantasy Tamil cinema has not witnessed yet, it's a film for everybody," she said.